Prof Sunil Shah is a Consultant Ophthalmologist at the BMEC, and an Honorary Consultant at the Birmingham Children’s Hospital . He is also an Honorary Professor at The University of Ulster and a Visiting Professor at Aston University, Birmingham. He specialises in complex corneal and refractive surgery. He independently developed the laser eye surgery technique now called LASEK and was the first person to use it in Britain and continues to pioneer this technique. He is also the Principle Editor & E Tutor for the E-learning course in Refractive surgery for the University of Ulster. He is an Examiner for The Fellowship British Contact Lens Association and also for the Refractive Assessment for the Royal College of Ophthalmologists . He is a past President of the British Society for Refractive Surgeons. He continues to be on the Refractive Working Party for the Royal College of Ophthalmologists and a Specialist Advisor to the National Institute for Clinical Excellence as well as the British Standards Institute. He continues to take an active role in research, his main interests being the difference corneal thickness can make when measuring pressure inside the eye, novel intraocular lenses and presbyopia. 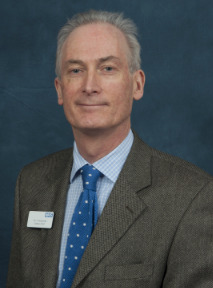 Mr Mark Quinlan is a consultant ophthalmologist with specialist interest in Corneal and Ocular Surface diseases based at Sandwell General Hospital. He trained in Cambridge and East Anglia. His additional interests are in complex cataract surgery with general interests in Glaucoma and General Ophthalmology. He also works at Russells Hall Hospital. Mr Peter McDonnell qualified in 1978 and joined BMEC as a Consultant Ophthalmologist in 1990.